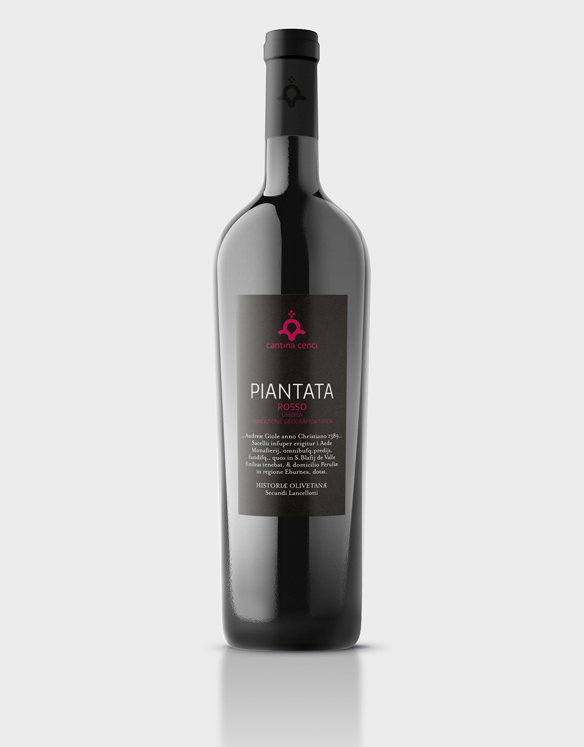 “Piantata” is the name of the Sangiovese vineyard, where the Olivetan monks used to cultivate along with mulberry, the so-called “Piantata”. GROUND: Clayey, silty, calcareous with remarkable presence of travertine skeleton. Gentle hill. VINEYARD: Approximately one hectare 3.20×0.90 m planting (planted 1999) Exposure: north-south. About half a hectare 2.90×0.90 m planting (planted 2013). Exposure: north-south. HARVEST: From 20th to 30th September, in small containers with selection of the grapes. YELD: Grape 50q/ha. Wine 50%. WINEMAKING: Destemming only. Fermentation with maceration in 10 hl oak barrels , delestage only, for approximately 20 days, without temperatur control.